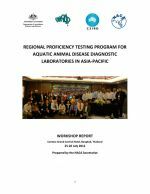 This is the report of the first workshop of the Regional proficiency testing program for aquatic animal disease diagnostic laboratories in Asia-Pacific, held from 25-26 July 2012 in Bangkok, Thailand. 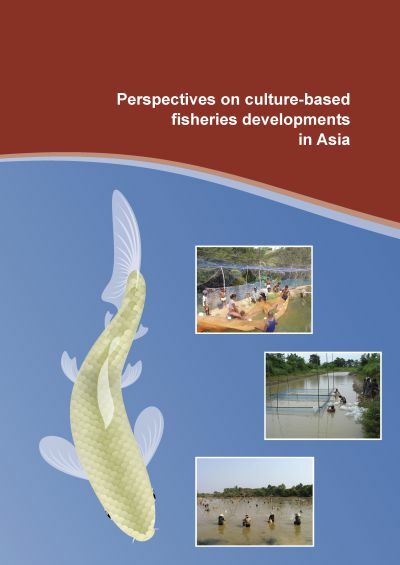 The objectives of the programme were to strengthen Asia’s regional capability to diagnose important aquatic animal diseases that impact on trade, train participating laboratory personnel in diagnostic standards and proficiency testing procedures, and to provide technical assistance to improve laboratory performance. 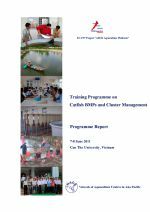 This is the report of a training programme on better management practices (BMPs) for catfish aquaculture and cluster-based management, which was held at the Faculty of Fisheries and Aquaculture, Can Tho University, Vietnam, 7-8 June 2011. The purpose of the training programme was to build capacity and awareness of selected cluster leaders, lead farmers and provincial extension officers on catfish BMPs, implementation of BMPs, group formation and operation. The workshop was held in Chennai, India from 16-18 May 2011, at the Central Institute for Brackishwater Aquaculture. 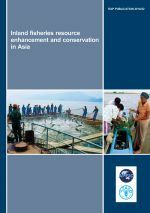 It was convened as an activity of the ASEM Aquaculture Platform, funded by the European Commission’s 7th Framework Programme. 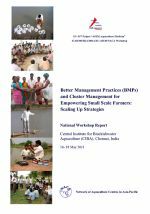 The main purpose of the national workshop was to develop practical scaling up strategies at the national level and build consensus for an implementation plan for wider adoption of shrimp BMPs through a cluster management approach. 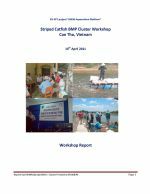 The purpose of the workshop, held in Can Tho Vietnam on 16 April 2011, was to build capacity and awareness of prospective cluster farmers and their leaders on the adoption of better management practices through cluster based management. The workshop shared experiences in cluster formation from other Asian countries and developed a join work programme for implementation of the project. 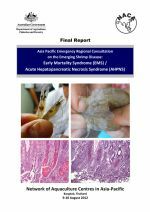 On 9-10 August 2012, an emergency regional consultation on Early Mortality Syndrome of shrimp and associated pathology described as acute hepatopancreatic necrosis syndrome was held in Bangkok, Thailand. 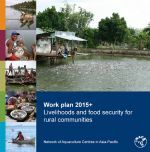 The consultation shared information on this emerging disease, its occurrence, pathology and diagnosis, and to develop a coordinated regional response to the issue. Audio recordings of 19 technical presentations made at the regional Consultation meeting are available on NACA website, and the presentation slides are also available. 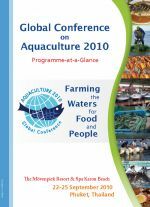 This handbook outlines the objectives, organisation and history behind the Global Conference on Aquaculture 2010. 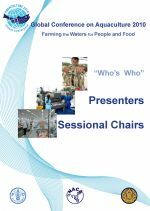 It also contains abstracts of the keynote addresses, plenary lectures, expert panel presentations and posters. 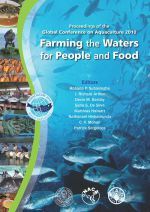 This guide provides short biographies of persons who made presentations at the Global Conference on Aquaculture 2010, to give participants an idea of the expertise that this conference attempted to bring together. The biographies are arranged sequentially in conformity with the conference programme. 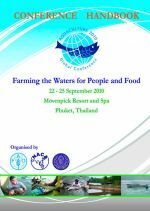 Summary programme brochure for the Global Conference on Aquaculture 2010, Phuket, Thailand.